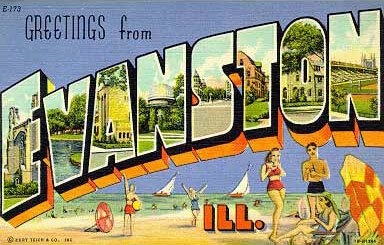 bruce springsteen – Page 27 – Greetings from Evanston, Ill. Thanks to my cousin Matt, I will be seeing Springsteen and the E Street Band on the second night of the new tour, the only night in DC. I am the happiest camper. NJ politicos this week announced a campaign to draft Springsteen for senator. Today Springsteen offered a simple response: No. I agree with the response. To the politicians: Stop bothering the man; let him make an album. To Bruce: Pleeeease, make an album. It was a great time. But this year, in the last couple days, some of my weblogging NU buddies and other folks have been noting how they and everyone else seems depressed. Maybe. It’s been raining a lot. But you can’t let the clouds get to you. Because every cloud has a silver lining. Because the sun will come out tomorrow. Because somewhere there’s rock and roll, and a world with rock and roll can’t be that bad.